Who says nail art cant be done without using the tools? 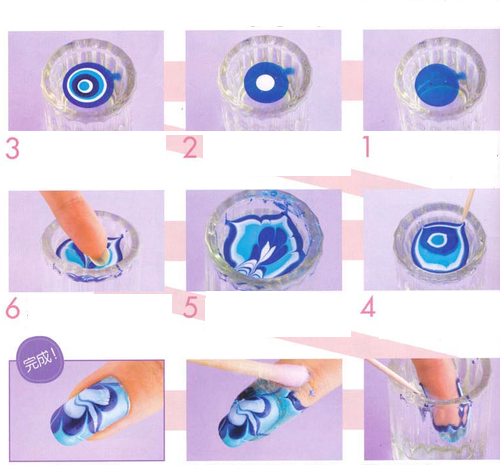 Zuri brings to you 4 awesome tricks for gorgeous nail art designs using household items! Nail art is all the rage these days. And it would be so much fun if we could do our own nail art at home, that too without shelling out any extra bucks on those pricey nail art tools. So Zuri brings to you some fabulous DIY nail art ideas that are easy to do and makes use of some really basic stuff that’s available in every household. So just follow these simple tricks to get gorgeous nails that look nothing short of stunning. 1. Fan brush nail art: Give your boring nails a quirky twist using a fan brush. You could make use of 2-3 nail colors for this design. Start by applying the lightest of the shades as the base color. Now dip the bristles of the fan brush in the second shade and apply it horizontally onto your nails. Repeat the same with the third shade. Keep on layering until you get the desired effect. Follow up with a top coat and you’re ready with your fan brush nail art. 2. Marble nail art: Marble nail art can be slightly tricky, but the results are simply spectacular. So add a drop of your favorite nail color to a bowl full of water. Now add another drop with a second nail color. Keep adding drops using the two colors alternatively until you get a bulls eye shape. You could even use in more colors to give the design a dramatic effect. Now pick up a toothpick and move it gently in the water to give it a pattern of your choice. Apply some Vaseline on the skin around your nails. Now paint your nails with a white base coat and allow it to dry. Next dip your nails in this water and keep them submerged until the paint sticks onto your nails. Add a clear top coat once it dries and you’re good to go. 3. 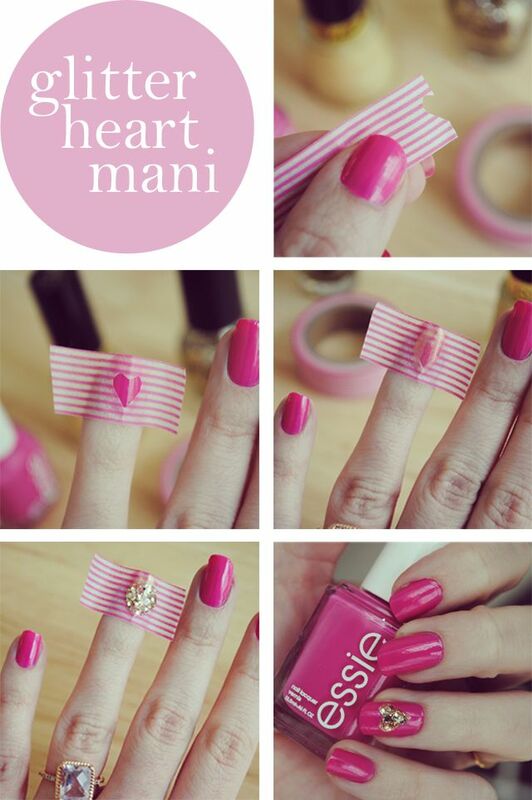 Glitter heart nail art: Pick up a scotch tape and make a cut out to resemble a heart. Now paint your nails with a bright color and let it dry. Now stick this heart shaped cut out onto your nails. Top it up with a coat or two of gold glitter paint and carefully peel off the tape. This design is simple yet so dainty. 4. 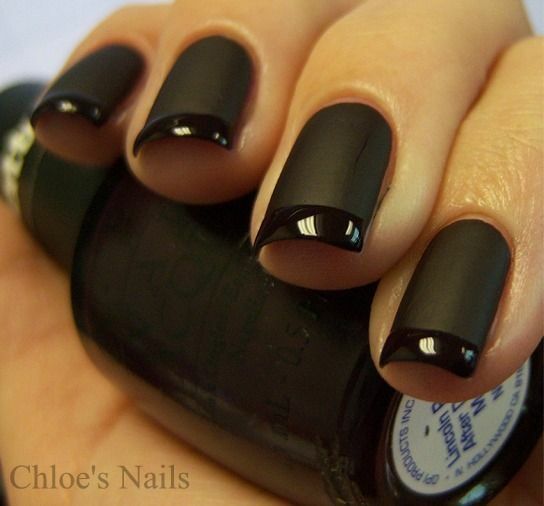 Matte finish nails: Matte nails are really hot this season and shouts out sophistication. So just top up your nail color with a clear matte coat, carefully baring the tip and leaving it shiny to give your nails a chic and classy finish. You could also make your own matte top coat at home. All you need to do is pour some of your glossy top coat on a paper plate and add some corn starch to it. Mix it up well to get your own DIY matte top coat.